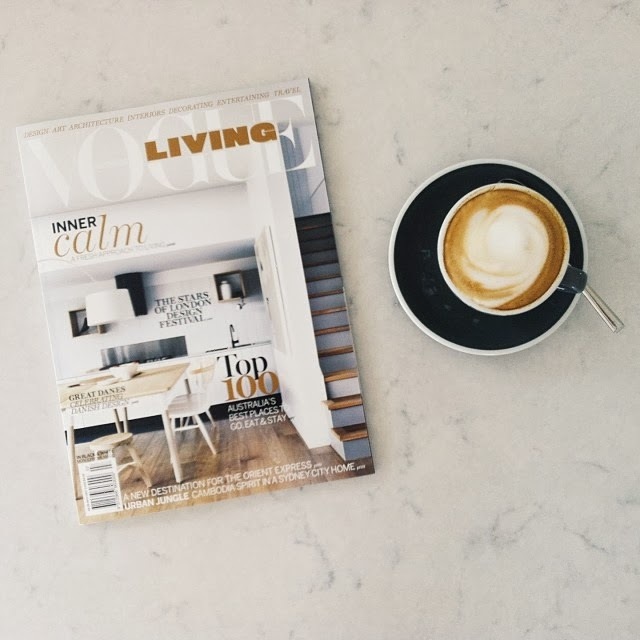 I discovered this stunning Melbourne home over the break, via Vogue Living Australia. 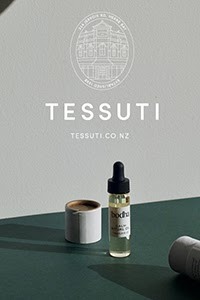 The serene cover shot of the kitchen had me itching to take a look at the full story. 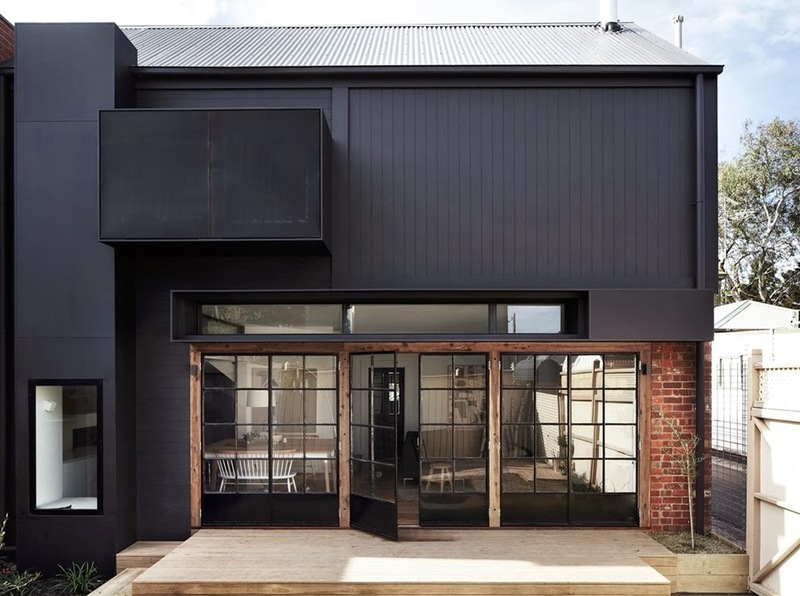 Beautifully renovated by architect Steven Whiting and his creative-director wife, Carole, for their own family, I did a bit of research and found these online images via Whiting Architects to share with you. 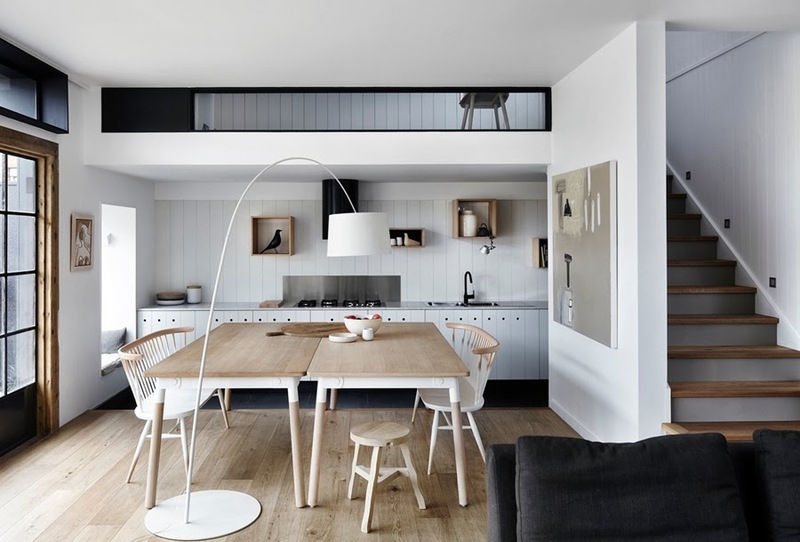 Architecturally altered to include a light drenched open plan extension with a barn-like aesthetic, I think the monochrome finishes, blonde wood and a simple pared down style give the home a definite Scandinavian feel. 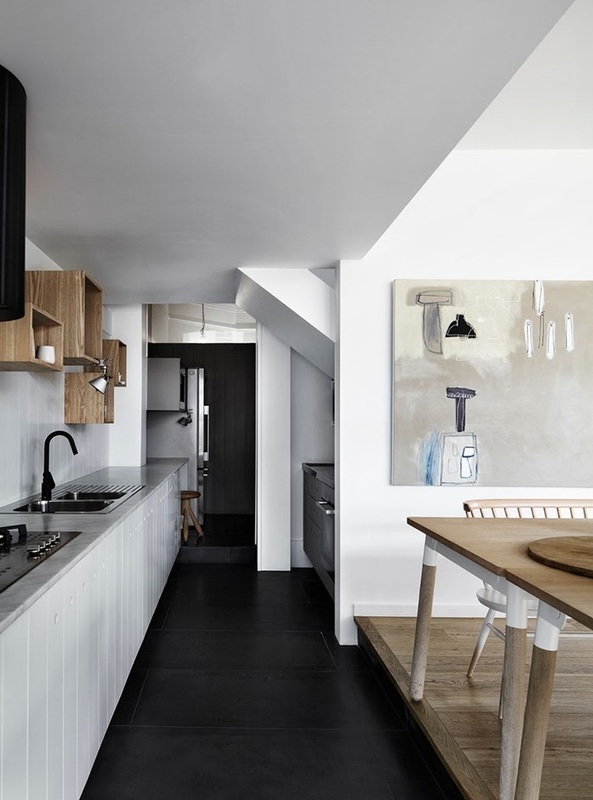 The kitchen demonstrates two clever space-enhancing design elements; the addition of an internal window (top image) and the sliding of the work bench and 'messy end of the kitchen' beneath the stairs. 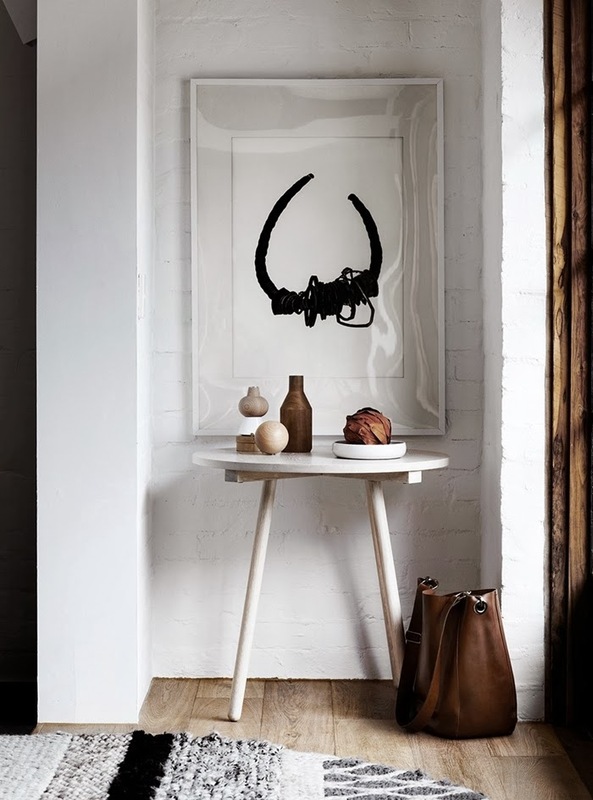 The home features a fabulous collection of design pieces from Carole's store Y10store.com, such as the Muuto tables and display boxes. Hand knitted by Carol, I love the chunky wool throw in the living room and the seat cover above. 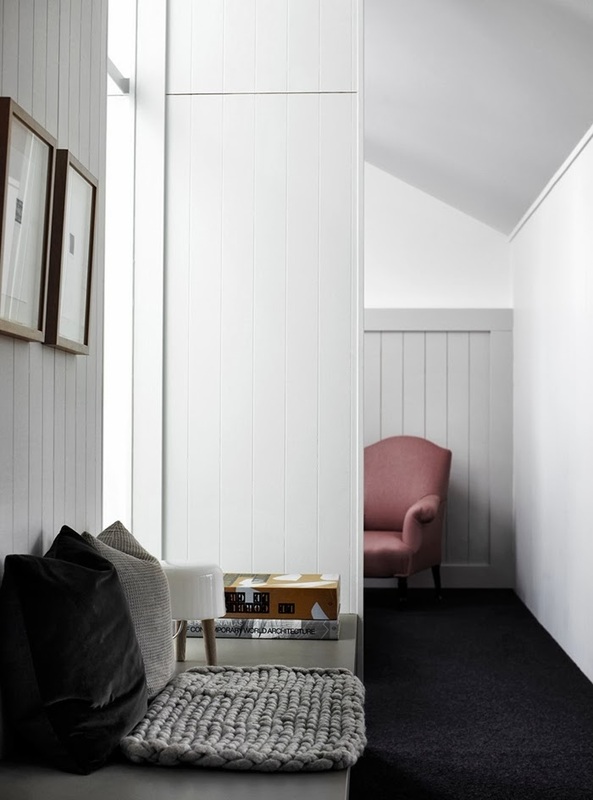 The mezzanine study below has been cleverly slotted into a corridor passage. 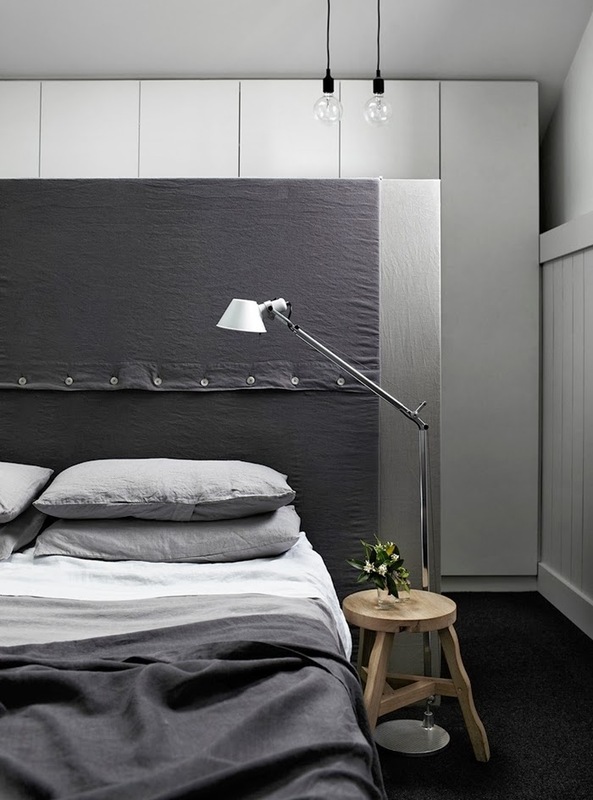 Layers of grey in the master bedroom thanks to beautiful bedlinen by Bedouin SOCIETE, give the room a cosy feel. 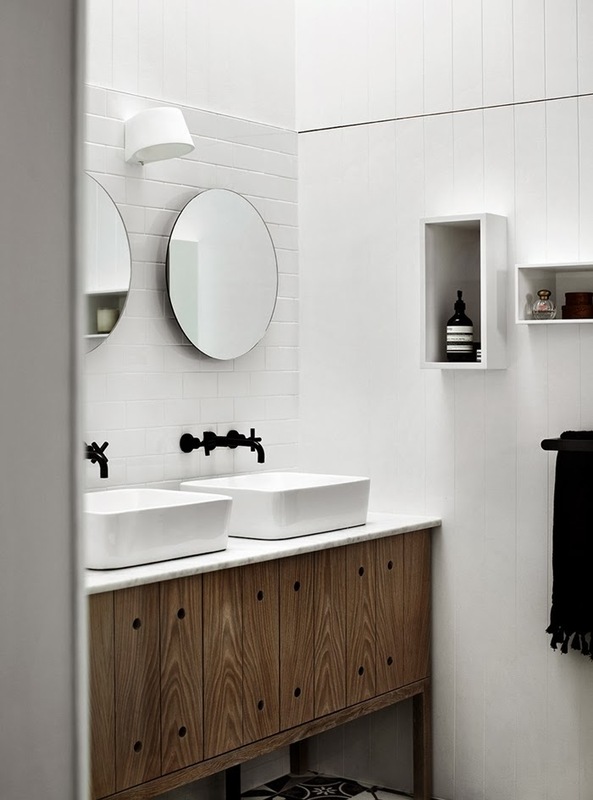 There is more Muuto goodness here with the simple pendant lights and the wall hooks in the bathroom below. 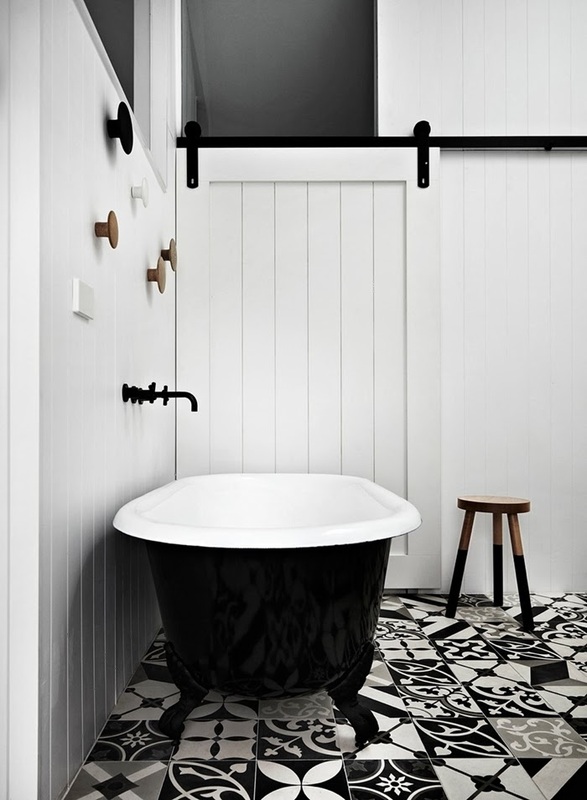 The sliding door fits in perfectly with the barn aesthetic, set off by bold black accents including the door track, tapware, paint-dipped stool and striking floor tiles. 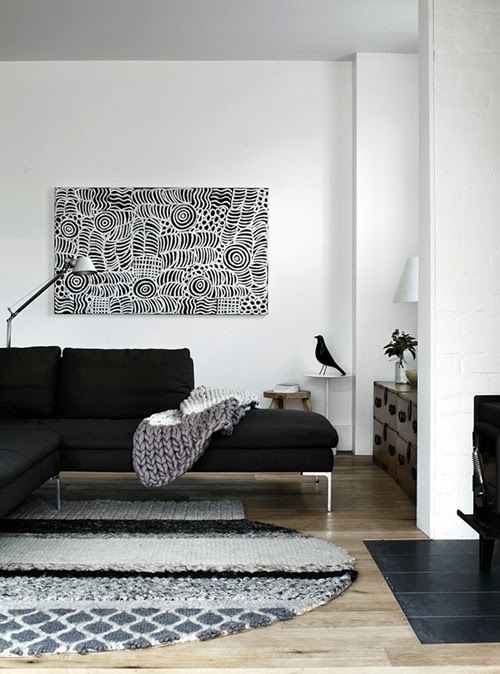 See more images here, or pick up a copy of the latest Vogue Living Australia. An inspiring issue, you'll also find a special feature devoted to 'Great Danes' with profiles of leading lights in Denmark's design scene. This bathroom is truly gorgeous! 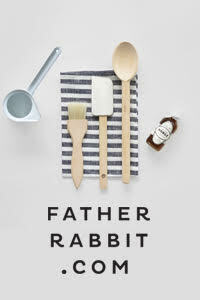 And I like the idea of wooden white dipped dining set!